full of blessings, happiness, laughter and love. 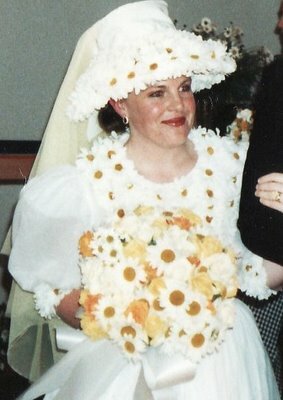 When Andrew & I married (nearly 20 years ago) our prayer at our ceremony was The Desiderata and the picture above of this gorgeous model surrounded by daisies was the one and only reference for my wedding gown & flowers, I still have it, folded and creased in my drawer. She's just perfect & full of happiness don't you think? Little ol' me 20 years ago.. I did have to think of the groom!! Andrew read The Desiderata to all our guests, he knows it off by heart, it is a prayer that we both value and cherish. but hopefully I will do my best in this new year of 2011. Go placidly amid the noise and the haste, & remember what peace there may be in silence. Exercise caution in your business affairs, for the the world is full of trickery. With all it's sham drudgery and broken dreams; it is still a beautiful world. "no doubt the universe is unfolding as it should", how reassuring that sounds Coty, and what a beautiful text. Thank you for all the beauty you shared with us on your blog in 2010, and for the kind comments you left with me. 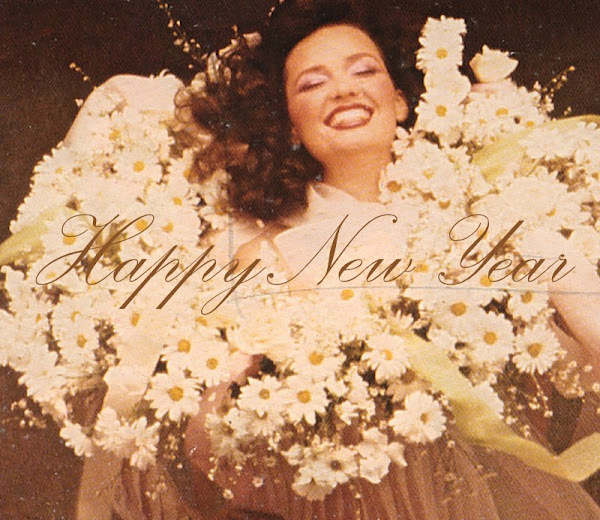 May the new year be kind to us all, and may it bring you and yours peace, health and happiness. I've always liked The Desiderata and it seems perfect for starting the New Year.. as you started your new life back then!! I've loved that prayer since I was in high school. I am grateful that you brought back to mind. The truth it speaks is still so very relevant today. I wish you a very Happy New Year and am so glad I've come to find you in blogland! Love those words. They speak to your soul. best wishes for the New Year!